Traleg Kyabgon Rinpoche was a highly respected Kagyu scholar and practitioner, born in 1955 in Eastern Tibet. 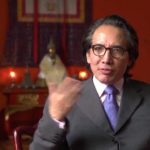 After fleeing Tibet with his family at the age of four, he received the traditional education and training of an incarnate lama under the direction of HH Karmapa and other important teachers. Traleg Kyabgon is the author of several books on dharma, including The Essence of Buddhism, Mind at Ease, and The Practice of Lojong. Rinpoche is President and Spiritual Director of Kagyu E-Vam Buddhist Institute in Melbourne and in upstate New York. Sadly, Rinpoche died on July 24, 2012 in Melbourne, Australia. 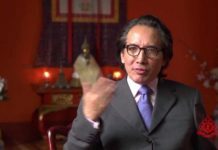 In this essay I attempt to provide a synopsis of Trungpa Rinpoche’s unique perspective on Buddhist hinayana and mahayana practices. Listen to this tribute from Traleg Kyabgon Rinpoche [5 minutes].